On Scene: 880 Helmets on Sale! Cairns Chicago 880's are helmets you may not hear too much about, but they're around, and they're an awesome helmet for protection at a price point that's affordable. Today they're 10% off with promocode CHICAGOSAVE at checkout. The 880 Chicago helmet is the lowest profile, yet highest performance style helmet on the market today! It has an unparalleled achievement in size, performance, and styling. The tough, high-temperature thermoplastic shell is resistant to chipping and cracking, yet looks great! The low profile design is great for clearance and maneuverability while on the scene. The traditional style with high-tech performance makes this a desirable helmet and loved by all who wear it. 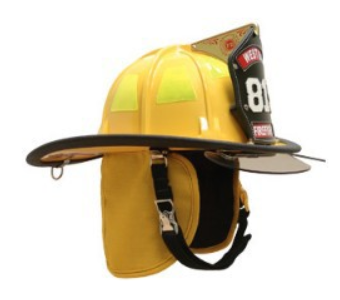 One our reviewers says, "I've had this helmet for two years now and love it! If you want a great composite helmet this is the only one I will ever recommend. " The three-position, rear-ratchet height adjustment helps to make sure you have a comfortable, yet secure fit for all head sizes between 5 5/8 to 7 5/8. 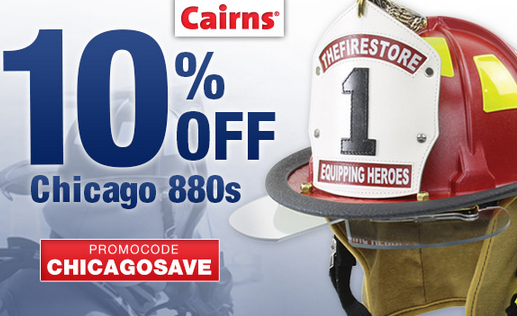 Get your 880 helmet for 10% off using code CHICAGOSAVE at checkout.